Impact of Omni-Channel, Home Delivery, and the Biggest Christmas Ever on Logistics. You have customers you have been serving for generations. You could serve more customers. And then along comes some upstart—Uber, for example. Or TaskRabbit. Or Box. Or some new mobile shopping craze. What have they got that you don’t? Market appeal. But before you write off newcomers and new ideas, realize the facts. Many of these ideas and companies get a foothold in your market and eat away at your market share. Often they transform a market in such a way that it will never be the same—or perhaps, exist—again. Frustrating, since they start with a skeleton solution. How could those customers buy from them, you wonder? New gen’rs look for holes in markets and exploit them. These newbies may not even be in the industry they enter, so traditionalists discount them even more. “What do they know about our industry?” the traditionalists ask themselves. But listen up. They exploit the holes or lacks that you left them. Let’s take UPS. Ok, I don’t expect them to go away. But last year’s poor Christmas performance was one of the major causes of Amazon’s new foray into logistics. Amazon became a cloud hosting service, not just competing with the likes of IBM or Oracle, but de facto, the cloud service. And then there were the fulfillment/marketplace services. The mega virtual shopping mall sells not just from its own store, but anyone’s store, leveraging its simple and powerful order management/catalogue software and powerful fulfillment capacities. (But this is not an article about Amazon.) And now transportation? Says Amazon, “Amazon is growing at a faster speed than UPS and FedEx, who are responsible for shipping the majority of our packages…. At this rate Amazon cannot continue to rely solely on the solutions provided through traditional logistics providers. To do so will limit our growth, increase costs and impede innovation in delivery capabilities." And Amazon is not alone in these ideas. Google Express recently arrived in my Boston neighborhood after a pilot in the other bay area (San Francisco).2 They are partnering with some obvious brands (Amazon’s competitors) as featured retailers, who have every reason to want to make this work. You can see a list of current retailers at the Google commerce site. Those are some of my—and your—favorite merchants. Recently we published a report called Always On, looking at home delivery (services, healthcare and retail) and the non-stop businesses that need to respond 24/7. Always on is not just a theoretical buzzword for discussion, but a current competitive imperative. Whether B2B or B2C, enterprises are reorienting the supply chain to support Omni-channel or time-definite deliveries, from groceries to home heating products. Unfortunately, increase in demand is occurring just as supply is contracting. Shorter driver hours are reducing capacity, according to the American Trucking Association (see Figure 1). Retailers are being forced to stock more inventories earlier in lieu of more expensive and harder to procure transportation. Competition is a very real thing for retailers and logistics companies. Amazon has been increasing their network of sortation/fulfillment centers and continues to expand same-day services. 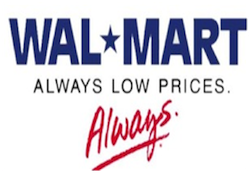 Like Walmart’s entrée into managing more of their logistics, Amazon probably feels they can learn the business and not only reduce their dependence on carriers, but save the margin the carriers are getting, thus keeping Amazon’s total cost to the consumer always the lowest cost. (Sounds like Walmart's motto, too.) (According to public statements based on their quarterly results, Amazon’s transportation costs rose 31 %.) For the time being, most of Amazon’s deliveries will still go through the big three in the US—the US Postal Service (USPS), FedEx, and UPS. But they will use more 3rd parties as well. Not to be left behind, UPS announced plans to hire 90,000 to 95,000 seasonal workers to deal with peak demand, while FedEx said it plans to hire 50,000. Many of those workers may get retained after the holiday season—between Amazon, UPS, and FedEx—we are talking potentially 40K or more net new jobs. These will be a mix of warehouse, customer services, and delivery/truck drivers. (I will come back to the issue of drivers shortly). Supply chain managers once again need to rethink their network strategies. Responding to time-definite or same-day requires a rethinking of how you manage the business. No doubt the international elements of the transportation network are in need of some optimizing. We still have poor visibility across the chain. Certainly, those issued need to be dealt with, too. But right now, consumers need to be served. So what are the strategies now that are proving effective? We are in a time of intense learning and experimentation, as this new skill does not reveal its secrets easily. Each company has its own products which may require different approaches. And within the domain, the customers are different, too. They defy neat categorizations of how and when they want to be served. Retailers should expect to pilot a lot and make some mistakes,3 but ‘failing fast’ should be the motto. That said, there are plenty of successes to learn from (see references at the end of this article). John Lewis, the poster child for running a successful home delivery service, has demonstrated that doing home delivery well can mean increasing revenue—not decreasing margins. TMS+ solutions focus on last mile/consumer delivery solutions. No longer simply appointment scheduling, driver telematics and new ways of thinking about route optimization are required. Winning At Home Delivery details many of the capabilities you should be looking for. No doubt the last decade was spent reducing the number of warehouses, increasing outsourcing, and streamlining the logistics network. Responding to today’s market, however, requires customer responsiveness—often in a few hours. Walmart, for example, has begun the process of ‘neighborhooding,’ creating more neighborhood locations that can serve as retail as well as fulfillment centers. These regional mega-fulfillment centers will continue to be built, a strategy many Omni-channel retailers are deploying. “Wal-Mart boss Carl Douglas McMillon, who took over management of the largest U.S. retail chain (and Pennsylvania's biggest private employer) earlier this year, told investors last week he will cut $850 million from his new-stores budget in 2015—and spend $350 million more on "e-commerce" facilities, including a second giant warehouse in Bethlehem [PA].”4 Walmart will hire another 300 people for a second fulfillment center in the area. "With the fulfillment centers and our 4,300 stores, combined with the capabilities we have in both distribution centers and our transportation fleet—we're trying to put all that together to give a unique experience for our customers which is everyday low-cost—which is kind of our mantra—along with offering several million customers up to next-day [delivery] depending on where they live in the United States," Brent Beabout, Walmart's senior VP of supply chain and logistics for global e-commerce, told TechCrunch. Another option is to use 3rd-party regional fulfillment and couriers. Regional fulfillment from 3rd parties is exploding, with more providers growing to serve this need. Not only can they provide low-cost warehouse space (rather than the retailers buying it), but may solve some driver capacity issues as well. The long haul driver’s life is very lonely, (as every country-western music fan knows). But if a driver can work just one shift and then go home to their family each day, this becomes a much more attractive job description. And often, it can be a job that is better for the driver’s health with more stops, more moving around, and more people to interact with. Firms like Cory 1st Choice Home Delivery, RDI, LaserShip, and others in the Northeast; OnTrac, Webgistix in the West; or the growing networks of couriers are morphing into a cadre of available delivery-service providers who can be included in routes that have surge. These are great examples of growing and innovative companies. Let the Customer Do It? Click and Collect, popular in Europe, is making its way into the US. Grocery is an obvious first step— Kroger, Walmart, Stop & Shop—or eBay, for other product categories. 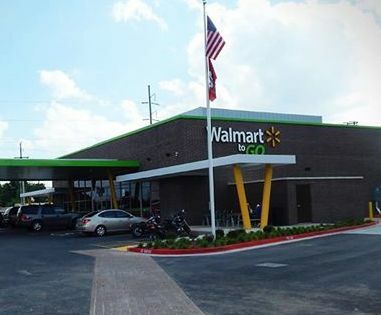 Walmart’s experiment here is Walmart to Go, and will have about 40 drive-through stores. This does not let the retailer off the hook completely. Direct Store Delivery capabilities are required to refresh inventories often to keep these express points well stocked. Other major retailers like Macy’s are building new space, but are leveraging existing stores for their ‘shop online, pick up in store,’ actually something retailers from Talbots to Nordstrom’s have been doing for a long time. However, there are twists vis-a-vis their overall ecommerce markets. But that is not the focus of this discussion. 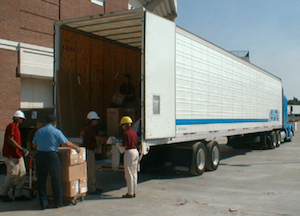 Many brand suppliers are not fond of consolidated freight. But retailers have wanted consolidation anyway. The dock door can be an intense scene, especially in metro areas. Reducing the number of shipments to coordinate and put more on the same truck reduces the cost of transportation and improves capacity utilization. Home delivery/Omni-channel may be a blessing in disguise for the logistics industry. Not only is it net new business, but it changes the type of services they can offer the market. However, they have to get ahead of the customer requirements. Aye, there’s the rub! Laggard thinking is not going to cut it. Being successful at same-day delivery cannot be left to last-minute thinking.